Over the years, we’ve seen an increase in buy to let mortgage applications, despite the government’s attempt to slow landlords down. The introduction of stamp duty and changes in tax has only highlighted why buy to let is such a good investment. With stock market volatility and an ever increasing rental demand, buy to let is becoming ever more attractive to investors. Our advisors specialise in buy to let mortgages and really look at maximising your returns, as that’s what buy to let investment is about. Finding a property at a great price is one part of the equation, the second part is all about how your mortgage is structured. After all, it’s the mortgage product that will really determine how much you’ll cash flow every month. Please note, this guide is written for both newbies and veteran landlords, as our expert mortgage advisors can help anyone with a buy to let mortgage. Explore our guide for further information, or request a call back from an expert mortgage advisor now. If you have a portfolio and require a portfolio mortgage, you may want to explore our Commercial Finance section. A buy to let mortgage is simply a mortgage that is solely used in order to purchase a property and then let it to tenants. Buy to let mortgages differ to other mortgages, such as residential mortgages, where you’d be living in the property yourself once purchased. Buy to let mortgage products also have different rates, which are usually quite attractive. Borrowers also have more flexibility with a buy to let mortgage, in terms of how the mortgage is repaid to the bank. This will be explored further down the page. There are quite a few factors that lenders will assess when looking at a buy to let mortgage application. We’ve broken these down into digestible chunks below. If you’re over the age of 18, getting a buy to let mortgage shouldn’t be an issue (in addition to passing other criteria). Do bear in mind that there are some lenders that will only approve mortgages to borrowers over 25. To summarise, as long as you’re 18, you can get a buy to let mortgage from most lenders, over the age of 25 and you’ve got the whole market at your fingertips. Some lenders will also go one step further and may have maximum age limits. This is so that when the borrower reaches retirement, they’re still able to make mortgage payments, even if there was no rental income being paid, due to not having a tenant (or having a rogue tenant). The majority of lenders will require borrowers to have a minimum income of £25,000. Other lenders will simply require the monthly rental income to be higher than the monthly mortgage payment (see rental income below). Each lender has varied criteria, however if you are earning over £25,000 a year, you do open yourself up to pretty much every lender. As discussed above, some lenders will solely look at the affordability of the mortgage. Lenders calculate this by ensuring the annual rental income is at least 125% of the annual mortgage interest payments. If you’re paying £10,000 in mortgage interest a year, then the lender would need at least £12,500 a year in rental income. This is usually quite realistic, as the rental income often covers the interest payments by more than 125%. If you can prove this to a lender, then getting a buy to let mortgage should be no problem. Lenders allow for the additional 25% to factor in void periods (when there is no tenant) and other landlord expenses such as letting agent fees and maintenance costs. Statistically, repossessions occur more on buy to let mortgages as opposed to residential mortgages, so lenders are slightly more strict when assessing buy to let applications. Lenders will generally ask for a 25% deposit. In other words, if the property you’re buying is £100,000, you’ll need a £25,000 deposit. With buy to let (and most other mortgages), a larger deposit can enable access to the best rates and products. If you have a 40% deposit as opposed to a 25% deposit, there can potentially be a larger pool of lenders willing to give you a mortgage. 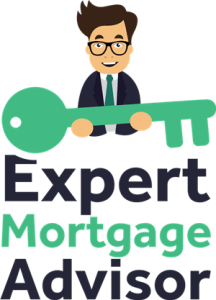 If you have less than a 25% deposit, you most certainly will need an expert mortgage advisor on board to try and secure you a buy to let mortgage. 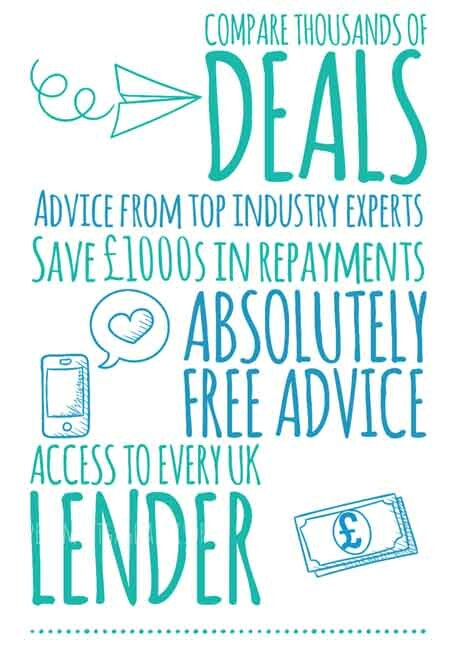 Remember, our advisors are available to provide you with fee-free advice, you can request a call back now. Having a healthy credit score will always be to your advantage. Sometimes a great credit score can mean getting a great product at a great rate. Having a bad credit score could result in getting a less desirable product with a higher rate. This can then have a negative impact on your rental income and monthly cash flow. Don’t worry, not all lenders will use a credit score to assess a buy to let mortgage application. Some lenders are very strict, some are flexible and other lenders won’t even take your credit score into consideration. If you have bad credit and require a buy to let mortgage, our expert mortgage advisors may still be able to get you a great product, as we work with specialist lenders who can still offer competitive rates. Find out more: How to get a bad credit mortgage. How can I maximise my rental profit? Believe it or not, this has a lot to do with your mortgage product. Yes, you can convert a house into an HMO (house of multiple occupation) to really squeeze those rental yields, however it all starts with your mortgage. Savvy investors know a good mortgage product when they see one, let’s have a look at ways you can spot one too. First off, savvy landlords love an interest-only mortgage. The reason is simple, you will retain more of the rental income this way, as you are only paying back the interest on your mortgage. The large majority of landlords will have interest-only mortgages for this reason. The remainder of the capital is then repaid at the end of the mortgage term, generally by selling the property. There is risk involved here, as if the price of the property plummeted, you’ll still be liable to pay the bank back what you borrowed. For example, if you bought a property for £100,000 and borrowed £75,000 by placing a £25,000 deposit, at the end of the term you would need to pay the bank back the £75,000 you borrowed (plus any other fees if applicable on your mortgage terms). The likely probability is that the property more than likely wouldn’t depreciate that much, however you still need to be aware of the risk involved. If you choose a repayment mortgage, you’ll be paying back the interest along with the mortgage loan. Your monthly mortgage payments will therefore be higher than those of an interest-only mortgage, however you will own the property outright at the end of the mortgage term. Landlords who have large portfolios normally diversify their mortgages. For instance, a landlord with ten properties may choose to have 8 properties on interest only and the other 2 on repayment mortgages and so on. There is no right or wrong answer here. Some landlords would prefer to fix their mortgages to a particular rate as they know exactly what they’ll be paying for the duration of their mortgage term. Other landlords who are less risk averse, may choose a tracker product. This is where the mortgage will usually have a low rate in addition to the Bank of England base rate. The mortgage then tracks the base rate which can increase or decrease, depending on what the Bank of England base rate does. In the past, some trackers solely followed the base rate, but because the current base rate is so low, trackers usually have their own rate in addition. Landlords can miss a trick by solely focusing on the lowest rates. There is more to consider here. There are three things when considering whether your deal is the best buy. Fees vary, as do rates, so it’s not easy to compare which mortgage is actually better for you in the long run. Some products will offer higher rates but charge no fees and some products will have lower rates with additional fees. For instance, a rate of 3% with a 1% product fee could cost you a lot more than a 3.5% rate with a £200 arrangement fee. Other products may either include mortgage surveys free of charge or will charge you for the privilege. By looking at the APRC (Annual Percentage Rate of Charge), you can see the total cost of your mortgage over the entire term. This is perhaps the best way to work out your overall cost. Everyone has a different appetite so it’s highly advised to secure a mortgage that suits your budget. View current buy to let mortgage rates here. Can I get a buy to let mortgage on any property? The short answer is no, you can’t get a buy to let mortgage on just any property. This is because each lender will have their own criteria which could contain restrictions on certain types of properties. For instance, if you were purchasing a property to rent it out to a family member, then your buy to let mortgage comes regulated. A standard buy to let mortgage simply wouldn’t be offered. Read more about regulated buy to let mortgages here. The property may have severe structural damage which would be highlighted on the mortgage survey. If this was the case, the majority of lenders wouldn’t lend on that specific property. This would also be the case where the property is in need of some major renovation works. If the property is not habitable due to having no actively working kitchen or bathroom, then a lot of lenders again would decline a mortgage for that specific property. If you’re applying to purchase a leasehold flat, but the freeholder does not have a managing agent in place, then again this is cause for a lender to decline a mortgage application. It’s vital to speak with a specialist mortgage advisor as you may require a specialist lender to approve mortgages on properties such as these. You can call us now on 0800 195 0490 or request a call back to speak to an expert mortgage advisor. I’m not a homeowner, can I still get a buy to let mortgage? It’s very difficult to get a buy to let mortgage if you’re not a homeowner already. This is because, in the opinion of lenders, the borrower doesn’t have a track record of having an existing mortgage and can appear high risk. If you do find yourself in this situation, you’ll more than likely need a specialist mortgage broker to secure you a mortgage. Our specialist advisors are available to answer any questions that you may have. Is there a maximum of buy to let mortgages I can have? If you’re a landlord with a large portfolio, you may be struggling to gain further finance. This is because lenders can limit borrowers to a certain amount of mortgages and can only allocate so much finance to one individual. There are some lenders that only allow individuals a maximum of 3 buy to let mortgages, whereas some lenders don’t limit borrowers at all. There are also lenders that specialise in buy to let mortgages and favour seasoned landlords, enabling them to access unique products and rates. If you’re a landlord with a large portfolio and require further finance for buy to let properties, speak to an advisor to see how we can help. You may benefit from taking a portfolio mortgage. Learn more: What is a portfolio mortgage? My portfolio is in a limited company. Can I use this to get another mortgage? The short answer is yes. Our advisors have helped many limited companies obtain mortgages to further increase their portfolios. This is quite a specific area and there is no one size fits all. If you require further information regarding purchasing properties through a limited company, our advisors are available to answer any questions. Can I get a buy to let mortgage on an HMO? If you’ve seen an HMO and require a buy to let mortgage, there are lenders out there that specialise in HMO mortgages. An HMO property is where there is more than one tenancy under one property. For example, you might own a 5 bedroom property and have 5 different tenants, each renting out a room. The criteria lenders look for here is generally the way the HMO is set up. Typically lenders want information on the number of tenancies in the property and the type of tenancy agreements involved. The criteria here is completely different to that of a standard buy to let mortgage, so the majority of high street lenders won’t entertain HMO mortgages. There are a number of lenders that do specialise in HMO mortgages. There are also other lenders that can offer finance but in the form of a commercial loan. The only disadvantage of this is that they’ll usually charge higher fees and rates in comparison with a mortgage. With an HMO investment, it’s vital to get the right lender suited to the deal, as getting it wrong can result in losing a lot of money. Our expert mortgage advisors have specialist HMO lenders on their panel and can talk you through the best deals currently available.